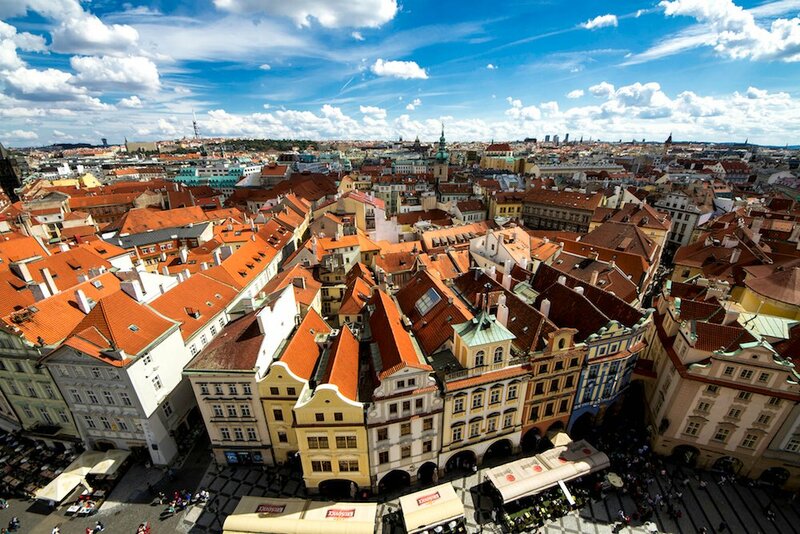 In the fairytale streets of Prague’s Old Town, it’s easy to forget the city once stood on the western frontier of socialism. When the Iron Curtain fell and Czechoslovakia was dissolved, most of the country’s communist paraphenalia was resolutely scrubbed from the fabric of everyday life. Even as you leave the winding streets of the city centre for the rolling suburbs, traces of this past remain difficult to locate, mostly confined to the boxy prefab apartment blocks that make up the long-renamed neighbourhoods built under socialism. If you want to trace the journey of Czechia’s turbulent 20th century, you’ll need to break free of the Old Town. Start your journey at the Monument to the Victims of Communism at the base of Petrin Hill on Újezd Street (it’s easily reachable on foot from the Old Town, but you might want to hop on a tram on line 9, 12, 22, 23, 87, 98 or 99). 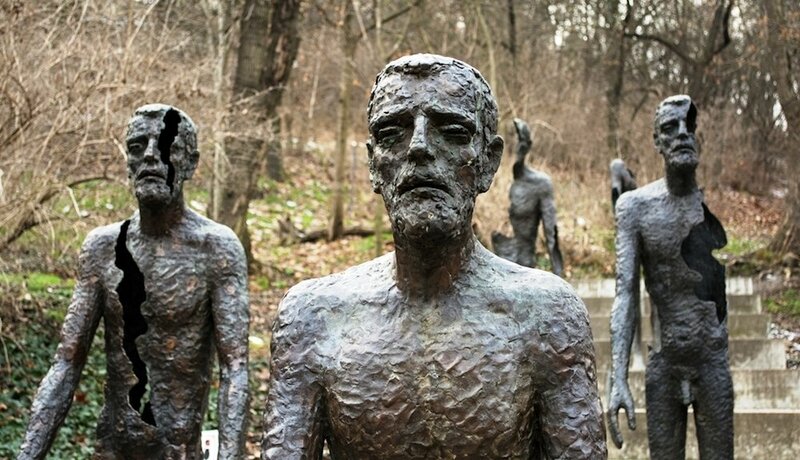 Created by the sculptor Olbram Zoubek and architects Jan Kerel and Zdeněk Holzel back in 2002, the sculpture immortalises Czechoslovakia’s suffering in what is widely seen as an “occupation” by the Soviet Union between 1948 and 1989. Bronze figures slowly disintegrate into the hillside, breaking apart as they disappear into the trees. The steep steps leading up to the monument are a physical representation of the country’s long struggle. Along the centre of these steps, you’ll see a bronze strip engraved with numbers: estimates for the number of lives affected by the regime. They stand as a tribute to the 205,486 people who were arrested under communism, the 170,938 forced into exile, the 327 shot trying to escape and the 248 who were executed. A plaque reads: “The memorial to the victims of communism is dedicated to all victims — not only those who were jailed or executed but also those whose lives were ruined by totalitarian despotism.” The installation hasn’t been without controversy, and one of the figures was damaged following a small explosion in 2003. Police concluded the blast was deliberate, but no group has ever claimed responsibility. Follow the main road, Vítězná, and cross the Legii bridge, which should be straight ahead of you. Continue a little way up the road and you’ll see the National Theatre New Stage. Constructed in 1983, the bold geometric outcrop of the New Stage’s roof stands in sharp contrast with the classic design of the theatre itself. Originally built to host a separate theatre company, the Laterna Magika, the stage was incorporated into the National Theatre in 2010. The structure consists of a steel frame with 4,000 externally mounted glass blocks, each differently shaped. 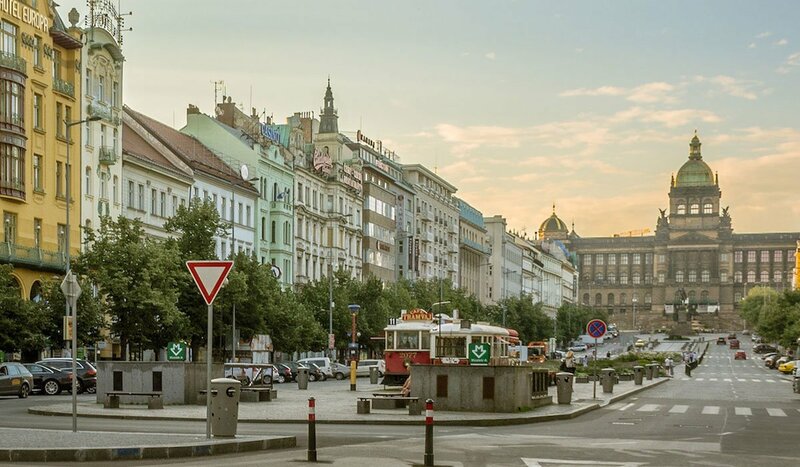 Now you’ll need to leave the main road, turning left to reach Bartolomějská Ulice — the former home of Czechoslovakia’s Secret Police. The dusky red building at number 4 was a convent until 1950, when it was commandeered by the feared StB (the nuns were removed to a detention camp). It is still used by the Prague police today and you will see a few police cruisers parked outside. Until a few years ago, there were crouching figures of revolutionary workers above the door. But now these have also been swept away, leaving only a few socialist-style reliefs above the windows. Head back toward the main road (Národní 340/21) and you’ll find a tribute to the protesters who fought those same policemen at the Monument to the Velvet Revolution. This small bronze plaque marks the student demonstrations which took place here on 17 November 1989, which are now widely regarded as the beginning of the end for the regime. The students had planned to march to the nearby Wenceslas Square but were stopped here, on Národní Street. The crowd was confronted by riot police and hundreds were badly beaten. Instead of scaring off demonstrators, however, the incident sparked mass protests across the country, destabilising the government. Continue a little further and you’ll come to Wenceslas Square itself, which became a focal point for later rallies. Modern Wenceslas Square is better known as a bottleneck for trams and tourists than protests. It’s easy to hurry through the crowds, but instead look out for the Monument to Jan Palach and Jan Zajíc, set into the cobbles outside the National Museum. The monument marks the spot where Palach set himself alight in January 1969 to protest against the regime. The student’s self-immolation made global news, and his grave at Olšany Cemetery soon became a shrine. The authorities dealt with the problem by exhuming and cremating the body, a move which backfired when fellow student Jan Zajíc also set himself alight. The simple bronze cross rising from the pavement now stands as an understated monument to both men: a quiet reminder of the many people who struggled for years against the system. At this point, if you’re bored of walking, worry not: take the escalators down to Můstek station on the Prague Metro. 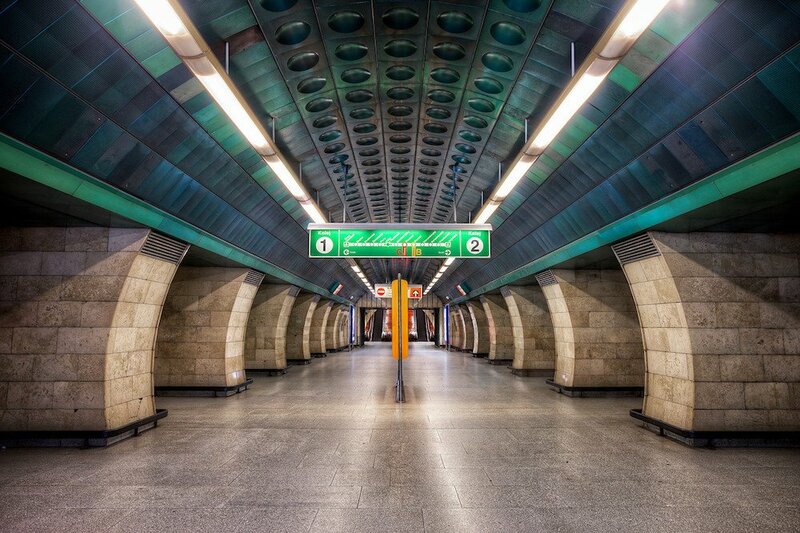 Officially opened in 1974, the Prague Metro is best known for its Instagram-friendly metallic sheen and dimpled surfaces. But the Soviet designers who created it thought about more than just looks: the colour scheme for each stop on Line A was chosen to reflect local landmarks. The golden hue of Hradčanská station symbolises nearby Prague Castle, for example, while the green of Malostranská represents the Royal Garden. Although originally conceived as an underground tramway, Czechoslovakian officials in the 1960s bowed to prevailing Soviet trends and commissioned a full subway (they were obliged to import metro cars from the Soviet Union). Walking through the centre of Prague, you might notice a large sculpture perched in Letná Park on one of the city’s hillsides. This is a moving 23-metre metronome created in 1991 by Czech designer Vratislav Novák — the endless ticking symbolises the slow march away from socialism towards an uncertain future. Once the plinth where the metronome now stands hosted Czechoslovakia’s own tribute to Soviet dictator Josef Stalin, a 16-metre granite monument rising above the capital. The statue’s creator, Otakar Švec, committed suicide several days before its official unveiling, and the authorities destroyed the sculpture in 1962 during the de-Stalinisation movement. Head up to the monument for panoramic views over the Old Town, or to check out the local skate scene. 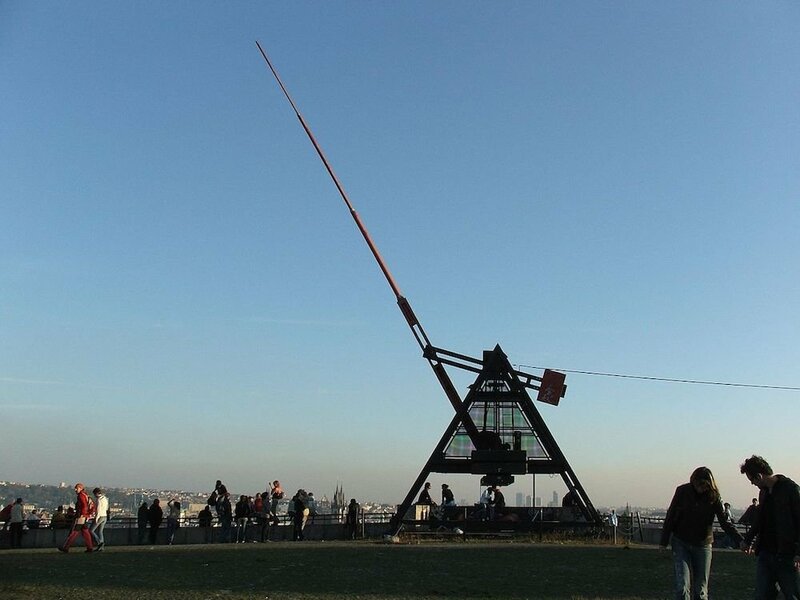 The metronome is a 10-minute walk from Staroměstská metro station via the Svatopluk Čech Bridge. The heart of Prague’s creative rebellion, the Lennon Wall was a flashpoint for protest and anti-communist rhetoric throughout the turbulent 1980s. 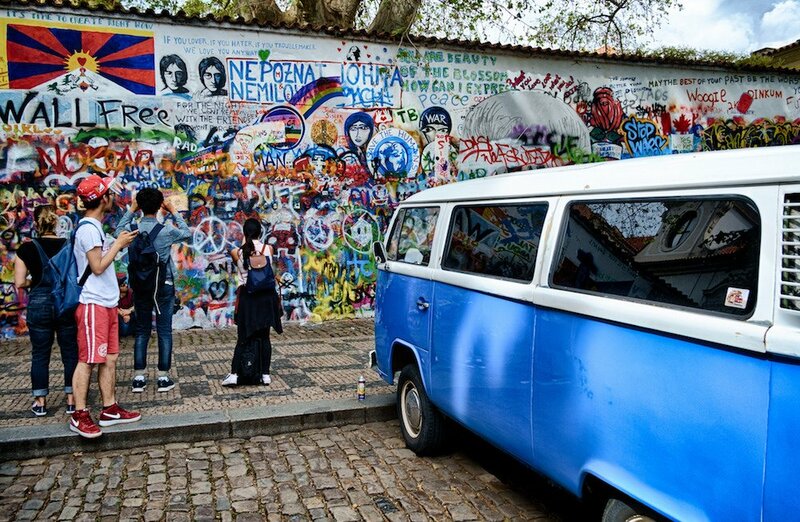 Originally used as an impromptu graffiti memorial for murdered rockstar John Lennon, this small wall on the west bank of the River Vltava became a canvas for disillusioned young people. Despite multiple attempts by the authorities to paint over dissident graffiti, more would always appear. Tensions reached their peak in 1988, when police fought nearby with hundreds of students. The wall today remains a place for political dissent, with layers of modern artwork proclaiming peace, love and rebellion. You can find it on Velkopřevorské náměstí, not far from the famous Charles Bridge. 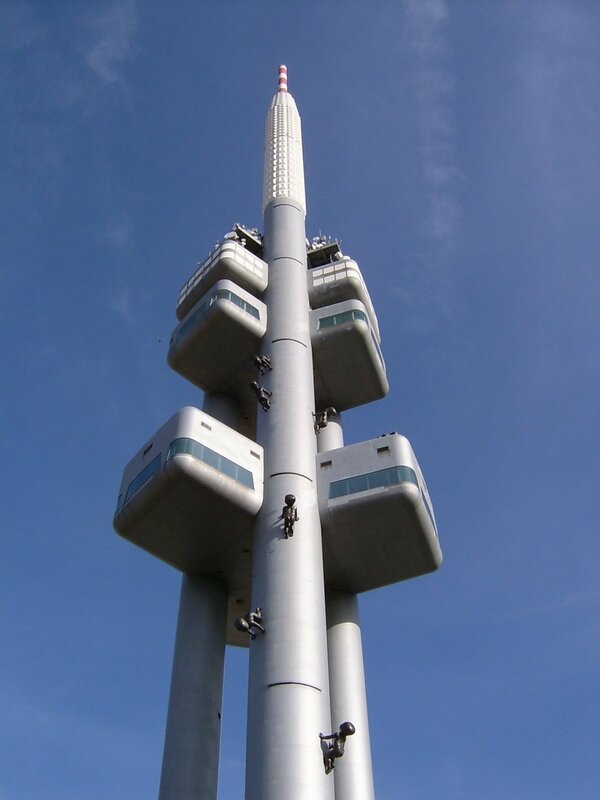 The futuristic pinnacle of the Žižkov Television Tower looms over the spires of the Czech capital. At 216 metres high, the tower was designed in the 1980s, but wasn’t actually completed until after the Velvet Revolution. 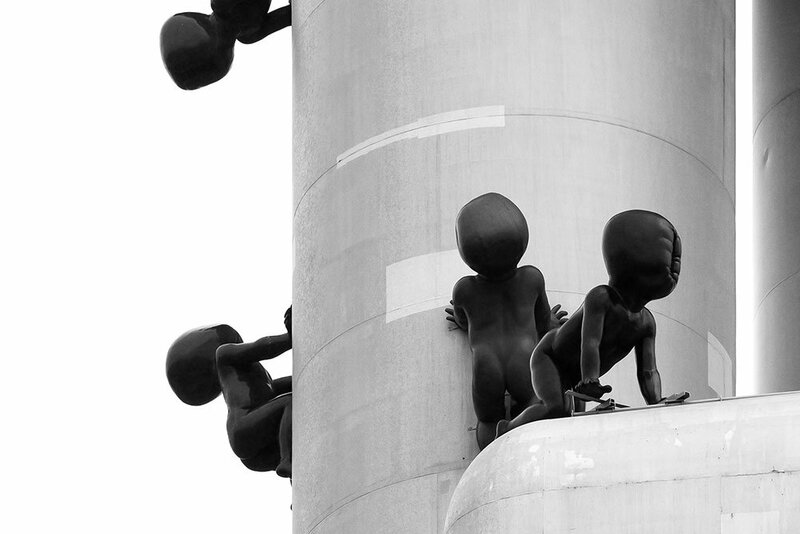 With its bulbous metal pods, it is routinely criticised as an unsightly blot on the city’s skyline — a complaint its owners have apparently tried to rectify by placing statues of giant, crawling babies on its facade. You can see more of these babies — created by Czech artist David Černý in 2000 — up close in Kampa Park. If you’re visiting, go to the observatory for a view of Prague from 90 metres up, or check into the tower’s luxury “one room hotel”. You can find the tower at Mahlerovy Sady 1, less than 10 minutes walk from the Jiřího z Poděbrad metro station.